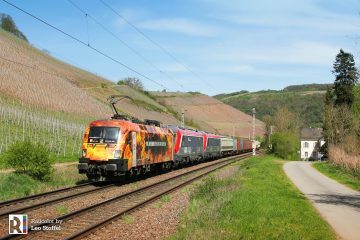 Recently we covered the new LogServ 1004.01 locomotive being delivered to Austria. 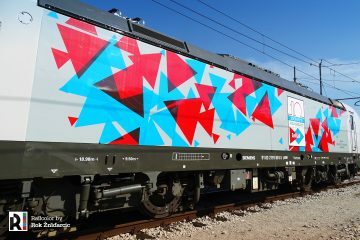 But Gmeinder delivered more colourful works locomotives in the past months. 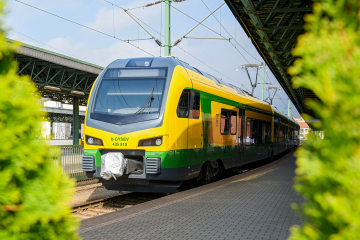 In November 2017 the ArcelorMittal steel works in Eisenhüttenstadt (DE) took delivery of a hybrid DE 75 BB. Last February the Esco Salt work in Bremburg (DE) took delivery of a diesel-hydraulic D 75 BB. 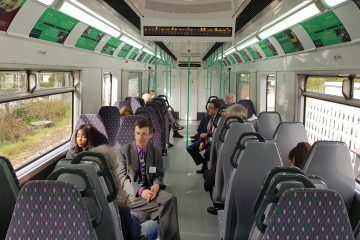 ArcelorMittal Eisenhüttenstadt Transport GmbH (AMEH Transport) recieved a Gmeinder DE 75 BB Hybrid in November 2017. AMEH Transport is 100% owned by ArcelorMittal Eisenhüttenstadt GmbH. Steel is being produced in Eisenhüttenstadt since 1950 and the factories are now part of the ArcelorMittal group. 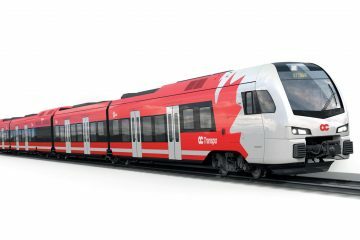 AMEH Transport operates the marshalling yard Ziltendorf and provides rail transport on both internal and external rail networks. 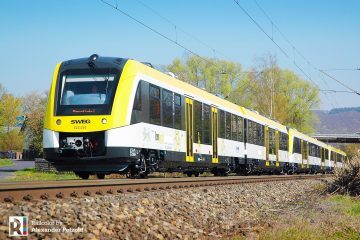 The diesel-electric Gmeinder DE 75 BB Hybrid has four traction motors that can be operated independently. This is good for adhesion, and creates a good basis for the use of (a combination of) different energy sources. Two propulsion systems can be combined in the DE 75 BB Hybrid, featuring a symmetrical set-up. 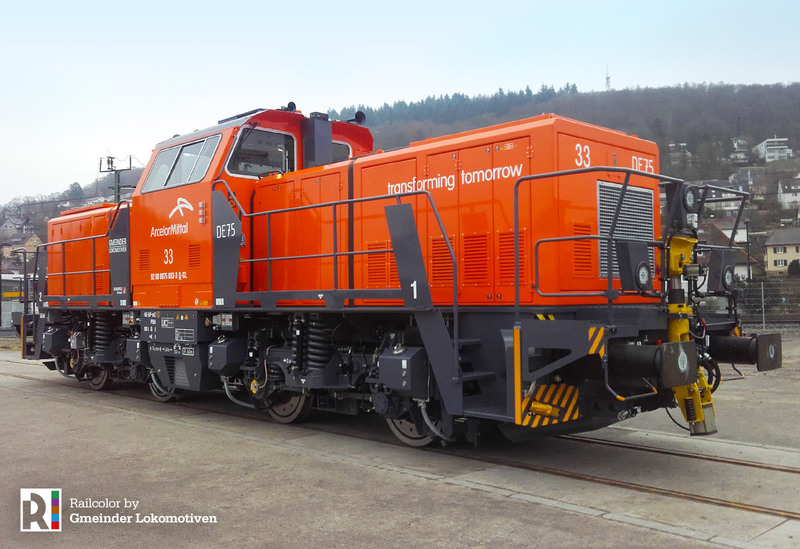 The orange painted ’33’ for Arcelor Mittal is a hybrid locomotive with a combustion engine (diesel) in combination with a lithium-ion battery pack. 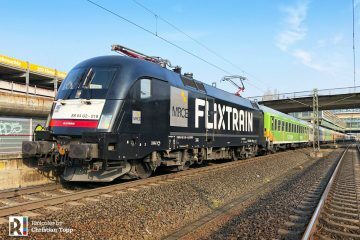 Gmeinder also offers a multi-engine version (2x diesel) for example, or a diesel locomotive in combination with a third-rail system. 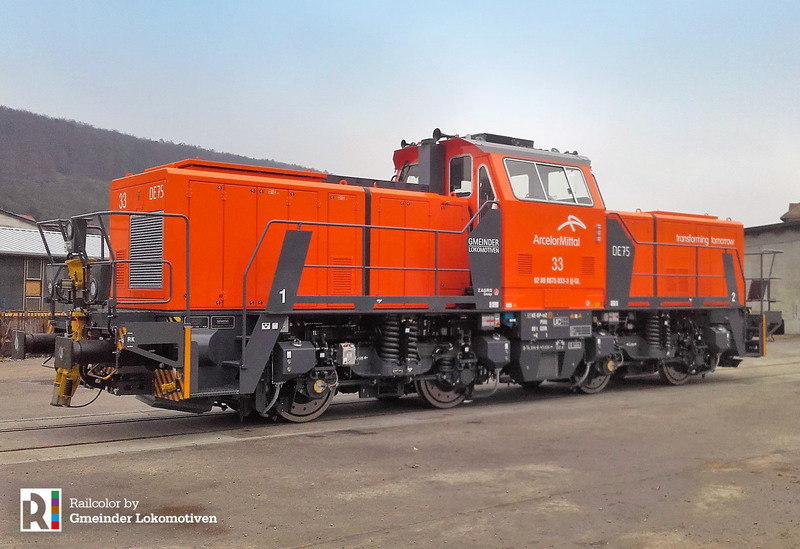 In January 2018 the Esco Salt works in Bernburg received a new Gmeinder D 75 BB works locomotive. 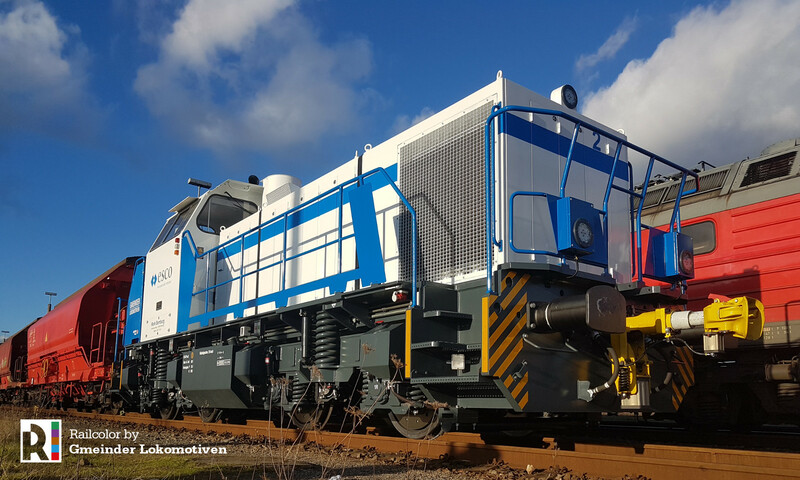 It’s a diesel-hydraulic 4-axle locomotive, painted in Esco’s corporate colors white and blue. Esco produces 2 to 2,5 million tons salt every year and 60% is transported by rail. Esco hauls the wagons to/from nearby Baalberg, where DB takes over the wagons. Up until recently Esco operated two older diesel locomotives of which one will stay as reserve, for the other one a buyer is being sought. 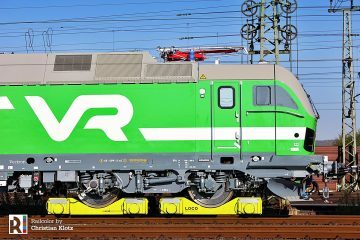 The new locomotive, weighing 88 tonnes to have enough traction, will haul trains weighing up to 2800 tonnes. Typical for works locomotives, traction is more important than speed. For that reason the maximum speed is only 25 km/h.